Currently, our team is working overtime to ship, pack, and set out for a week of loud music, sweaty bodies, and advocacy. This festival, Creation Fest, will be our second of five this summer. We are selling 7 different styles of T shirts, water canteens, shoulder bags, hoodies, hats, and of course: dog tags. 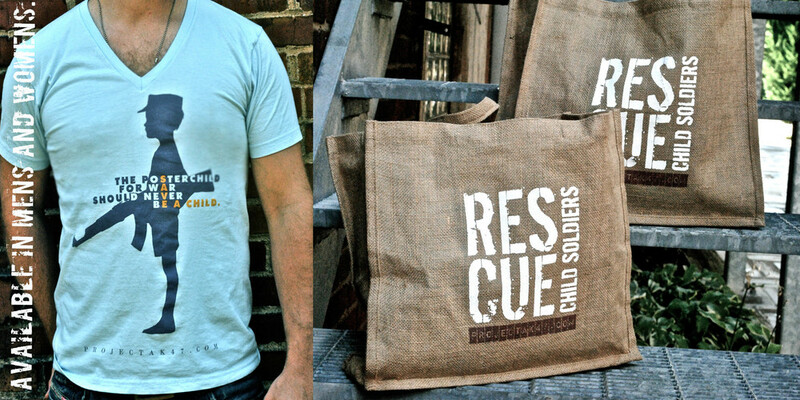 All proceeds are funneled straight in to our projects to rescue and rehabilitate child soldiers. These events set the perfect tone to tell stories and give individuals the significant opportunity to become an advocate for the marginalized. If you're anywhere near these festivals, come see us!! June 16-19: Wimore, KY @ Ichthus Festival. June 30- July 3: Mt. Union, PA @ Creation Northeast Fest. July 1-3: Monterey, CA @ Spirit West Coast. July 21-24: Enumcauw, WA @ Creation Northwest. July 30: Longmount, CO @ Heaven Fest. Thanks for staying engaged guys!